Pure Organic French Lavender Essential Oil in natural lotion base. 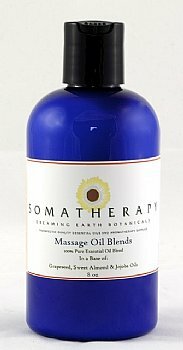 Use this lovely lotion for a soothing, fragrant massage and to nourish and soften dry skin. This lotion is gentle, relaxing, and softly sweet. The four and eight ounce sizes come in a cobalt blue bottle and larger sizes come in refill containers with flip top.